Thunderstorms likely. A few storms may be severe. High 69F. Winds E at 10 to 20 mph. Chance of rain 100%. 1 to 2 inches of rain expected..
Showers with the chance of some thunder during the evening, then skies turning partly cloudy overnight. Low 59F. Winds NNW at 10 to 15 mph. Chance of rain 80%. 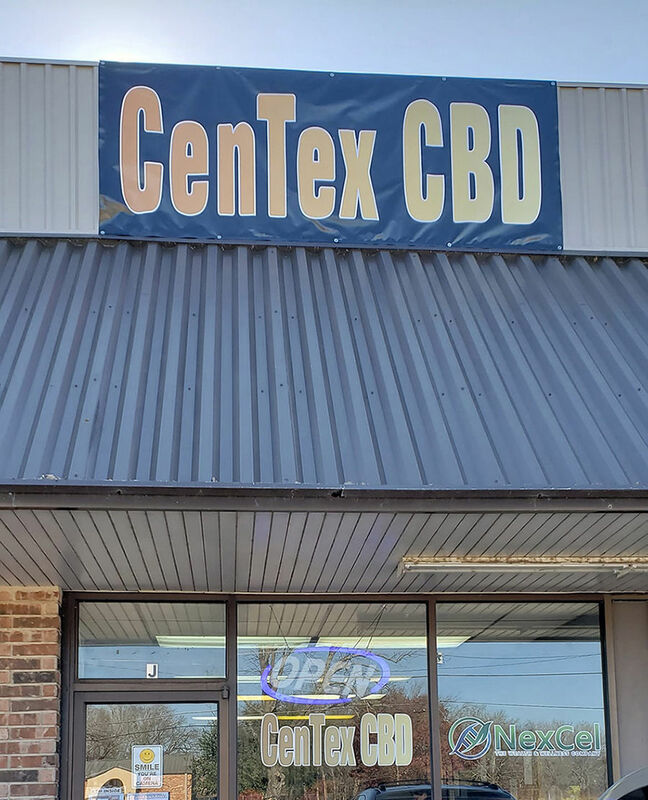 CenTex CBD is the first shop in the Temple area that focuses primarily on Cannabidiol (CBD) products. We invite you to visit us at 2807 W. Adams, Ste. J. Our purpose is to offer information about CBD so you can make informed decisions about your health and wellness, and to also provide superior products you can trust.